Certified Financial Planner now approved by the FSC. We discovered the essential parts of ultimate creativity. 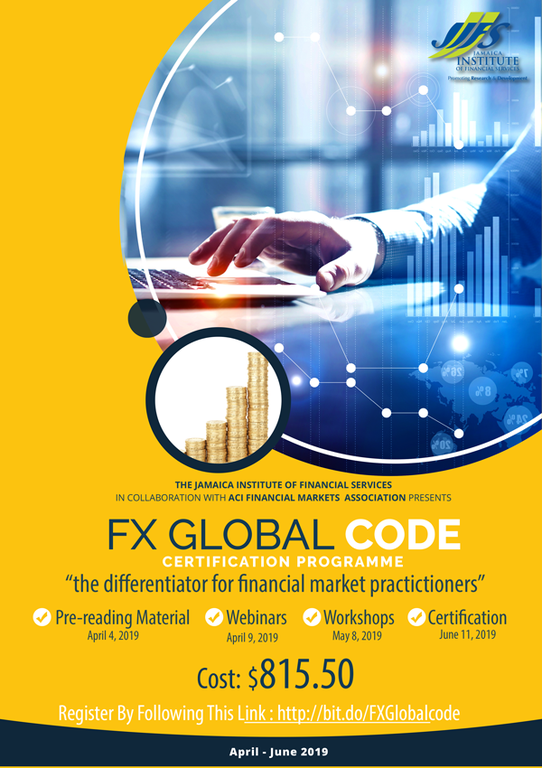 April 9th - Webinar "The FX Global Code - What is it"
June 5th - Pre-exam webinar "Questions and Answers"
We look forward to your registration as we continue to provide opportunities for the development of the financial services sector, through cutting edge and internationally recognized and relevant training opportunities. © 2017 Jamaica Institute of Financial Services. All Rights Reserved.